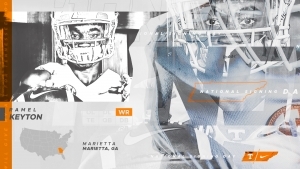 Josh Ward’s Analysis: Keyton offers more size to Tennessee’s group of wide receivers and will have a chance to play immediately. 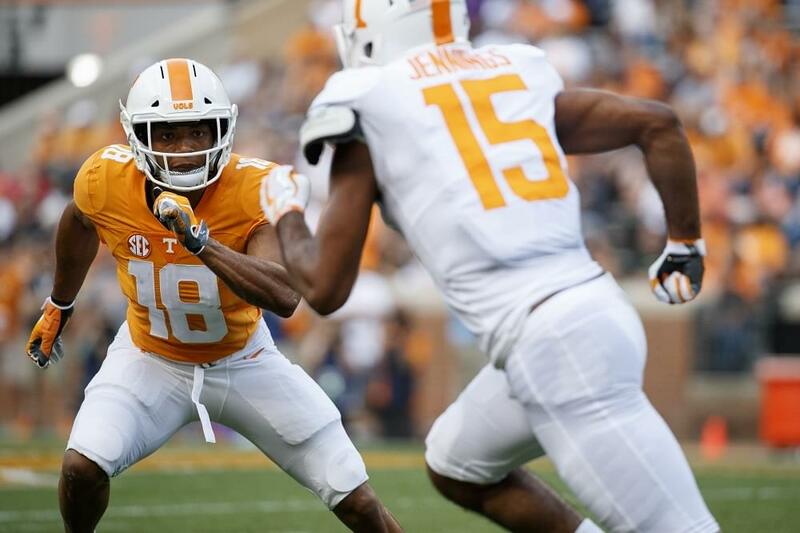 Keyton’s ability to make contested catches will be welcomed in Tennessee’s offense. He could also help develop a pipeline for Tennessee at Marietta High School. 2017 Georgia Class 6A All-State Honorable Mention. Named to Atlanta Journal Constitution’s 2018 Super 11 Football Prospects List. Starred at Marietta High School in Marietta, Ga.
Named to the Marietta Daily Journal Dynamite Dozen in 2018. Tallied 44 receptions for 694 yards and 10 touchdowns in 2018 despite missing the second-half of the season with an injury. Opened the 2018 season by catching 14 passes for 191 yards and four touchdowns in first game of the season. Over the course of his entire high school career, totaled 184 receptions for over 3,000 yards and 34 touchdowns, averaging over 100 yards per game. Led all players in Cobb County with 59 receptions for 1,298 yards and 16 touchdowns in 2017, helping lead Marietta to the state quarterfinals.